Jaral Holdings Inc. was incorporated in 1986 after growing demand from our clients for professional property management services for non-residential facilities. 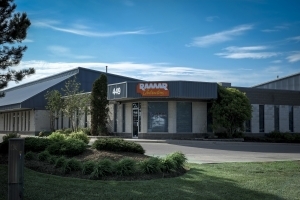 As an affiliated company to Ramar Contractors Inc., it is also privately owned and founded by Ralph Marziano. The team at Jaral Holdings Inc. is dedicated to ensuring the buildings are maintained to the highest standards both inside and out to ensure the tenants complete satisfaction. If there is ever a concern, our team always facilitates a prompt and effective response to our clients’ needs. The properties of Jaral Holdings Inc. feature architectural design with attractive interior design located in prestige areas throughout Southern Ontario. From winning design and superior locations to top-notch client services, customers who choose a Jaral property for their business will enhance their reputation while enjoying tremendous satisfaction in tenant services. Contact our office today to see why Jaral Holdings Inc. stands out from the competition.